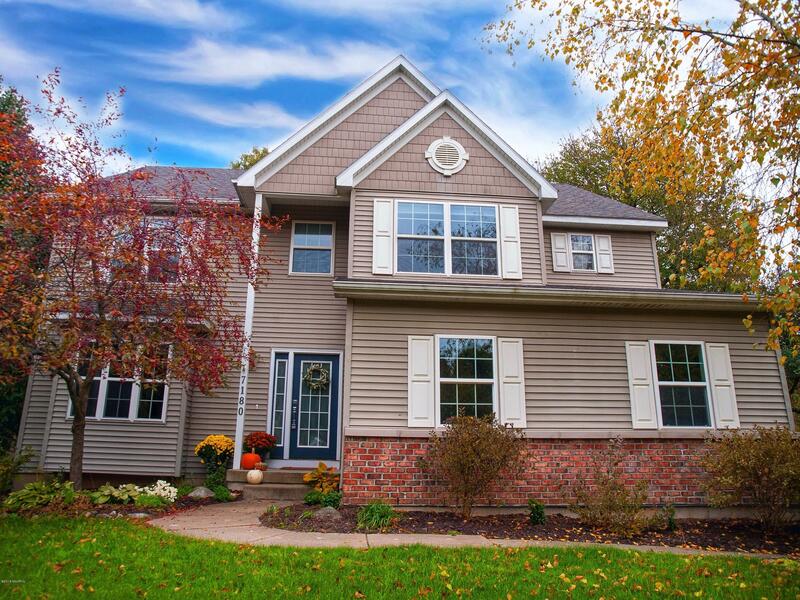 This stunning Rockford Two Story home shows 'pride of ownership' throughout! Immaculately maintained w/lovely decor, you will appreciate the layout & spaciousness of this 4-5 Bedroom, 3 1/2 Bath Home with finished daylight level. The main floor layout is sure to please - beautiful Office w/French Doors, large Living Area w/Fireplace, Dining Area w/sliders to Deck, Kitchen w/stone snack bar, & convenient Mud Room/Laundry/1/2 Bath at Garage entry. Upper Level features a Spacious Master suite plus3 additional large Bedrooms. Lower Daylight level has a huge Rec/Family Room, Full Bath 3 & Office/Bed 5. Conveniently located close to schools, shopping, churches, restaurants & main commuter roads w/a short 15 minute drive to GR.